Pianist Louis Lortie undertook this admirable Chopin juggernaut — all 24 Etudes of Chopin’s Op. 10 and 25, as well as all 24 Preludes of Op. 28 — in Wednesday’s President’s Piano Series at UW’s Meany Center. Chopin’s music is a staple of the piano repertoire, studied earnestly by aspiring players and performed by almost every recitalist. It is rare, however, to encounter an all-Chopin program that traverses all 24 Etudes (studies) of Chopin’s Op. 10 and 25, as well as all 24 Preludes of Op. 28. 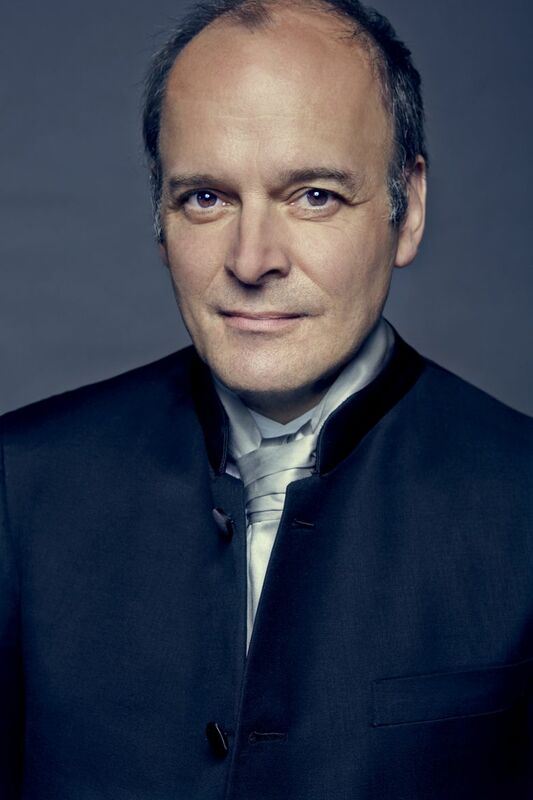 Pianist Louis Lortie undertook this Chopin marathon in Wednesday’s President’s Piano Series before a large and generally appreciative audience. There was much to admire in this program: Lortie has a solid and often brilliant technique, a wealth of interpretive ideas, and enough bravura to carry off these works that were designed to display spectacular dexterity. In Meany Theater, it was clear right from the opening etude that Lortie was interested in depth as well as technical brilliance. Each piece was fully characterized, from the grandiose C Major opener of Op. 10 to the lyrical warmth of the third etude, the famous E Major one so beloved of concert artists. Lortie played some of the quieter etudes with serene delicacy and an almost hazy, blurred focus, but there was plenty of thunder-power in the blistering octaves of the B Minor etude of Op. 25. The playing was remarkably clean, considering the nonstop digital challenges in many of these pieces. By the time intermission arrived, however, it was easy to see why we don’t often hear all 24 of those etudes on the same program. Even though Lortie carefully characterized each piece, there was a certain similarity of gesture (arpeggios going up the scale, runs going back down again) that reminded us why all-Chopin programs usually juxtapose different musical forms: etudes, preludes, ballades, impromptus, scherzos, nocturnes, waltzes, sonatas. Indeed, when the second half of Lortie’s program arrived — Chopin’s 24 Preludes — the variety of style and format was a welcome change (and one that allowed for more interpretive breadth). The pianist invested a wonderful subtlety in the softly fading B Minor Prelude (No. 6), and the famous “Raindrop” Prelude (No. 15) emerged as if in a delicate mist. And the B-flat Minor (No. 16) was suitably wild and furious, as Lortie pushed the tempo inexorably forward. It must have been an exhausting program, and Lortie looked a bit fatigued as he returned to the stage at the recital’s end to acknowledge the applause. For a while it looked as if there would be no encore, but the recitalist finally provided a dreamy, introspective reading of Chopin’s D-Flat Major Nocturne (Op. 27, No. 2): a little “night music” that was the perfect gesture of farewell.